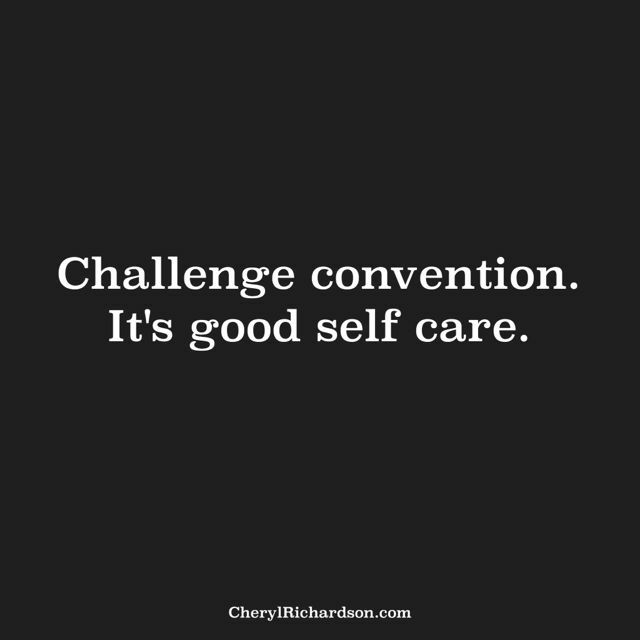 Week 5 – Here’s what happens when you challenge convention. I’ll be coming to Denver, Colorado on April 25th for the first “I Can Do It” conference of 2015! This conference is filled with a variety of great workshops and keynote presentations and you’re sure to meet lots of like-minded folks who share your desire to live a full and rich life. For more info, visit here. It’s late January and our Christmas tree is still standing proud. Last year we purchased an artificial tree so we didn’t have to worry about Mr. Poupon, our rambunctious little cat, chomping on needles and gnawing on branches. This year, because of a delayed family party, the tree stayed up after the holidays and this week I’ve decided to keep it up indefinitely. It’s festive and beautiful. Each ornament reflects a special memory. And the kid in me loves, loves, loves colored lights . This decision got me thinking about rules and traditions. Who said we’re not supposed to eat cake for breakfast, I wondered as we walked out of the restaurant. How wonderful to be growing wiser and to feel more comfortable questioning the rules we follow. It’s such an important act of self-care. My husband Michael writes until four or five in the morning and goes to sleep when the sun comes up. For years we wrestled with the difference in our schedules. He felt judged about not fitting in with the rest of the world and I had a hard time explaining the difference to friends and family. Then one day we surrendered to our unorthodox arrangement and created a way to make it work in our favor. When we made peace with our new rule, everyone else did, too. It’s good to challenge convention. Sometimes I take a relaxing bath in the middle of the day. Or I exercise just before bed. It works for me. And that’s all that matters. I’m curious about the rules and traditions you’ve changed or broken? I’m looking for more good ideas . Here’s an unconventional performance shared with you on behalf of Mr. Poupon. You can watch it here. Thanks, Debra!